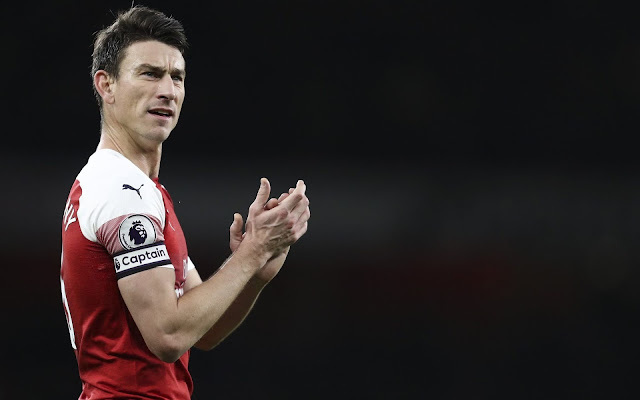 Laurent Koscielny has turned down the chance to reunite with former Gunner Thierry Henry at AS Monaco, choosing instead to remain with Arsenal, according to reports in France. Le10Sport (via Mirror) report that Monaco made an approach to sign the Arsenal captain last month. However, Koscielny decided to turn it down to focus on returning from injury for the Gunners. The defender is reportedly expected to start against West Ham this weekend, and he’s featured in four of Arsenal’s last five league matches. Although Koscielny’s Arsenal career didn’t begin until after Henry had already left for Barcelona, the Monaco manager and the Gunners defender did spend a brief spell together in North London. When the former striker returned on loan in 2012, the pair made five appearances together. Koscielny has 18 months left on his Arsenal contract, so you’d expect that a decision over his future will be made this summer. If things are going well, Unai Emery will probably try to keep him around, but otherwise, this would be the 33-year-old’s chance for one last move. For now, it seems Koscielny has no plans to leave in the January window. It’s not really as if Arsenal could afford to lose another centre-back at the moment anyway.